Since Page Tabs have already been inserted, it will be very simple to print desired pages. From the File menu, choose Print Charts. A dialog box will appear allow you to configure the way in which your charts are to be printed. 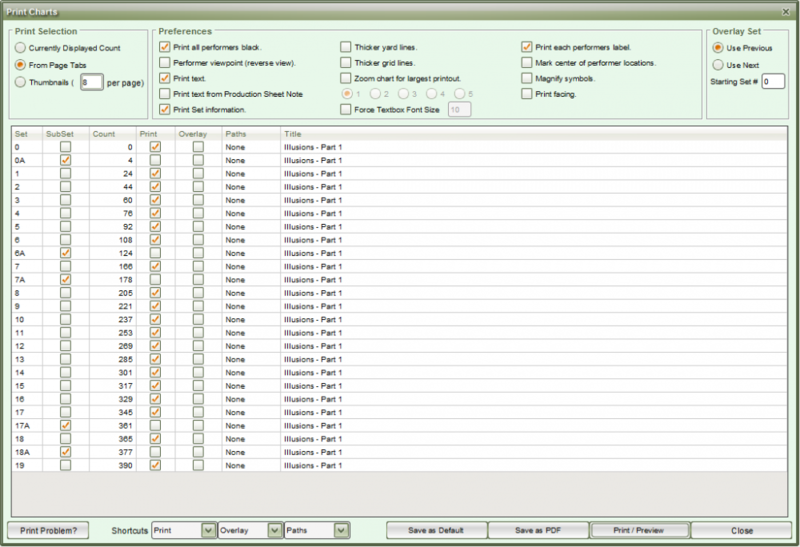 In the Print Selection options, choose From Page Tabs. In the Overlay Set options, choose Use Previous. Click the Print/Preview button. A dialog box will appear allowing you to preview the printout and configure Page Setup options. The Page Setup dialog box can differ, depending on the printer you are using. Click Print and your printer’s dialog will appear. Click OK (or Print) will start your print job.